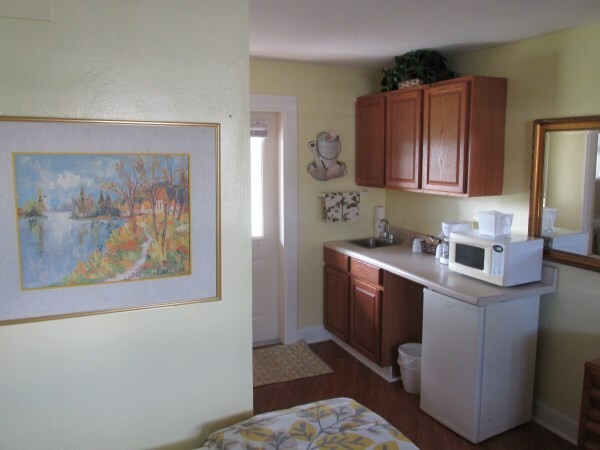 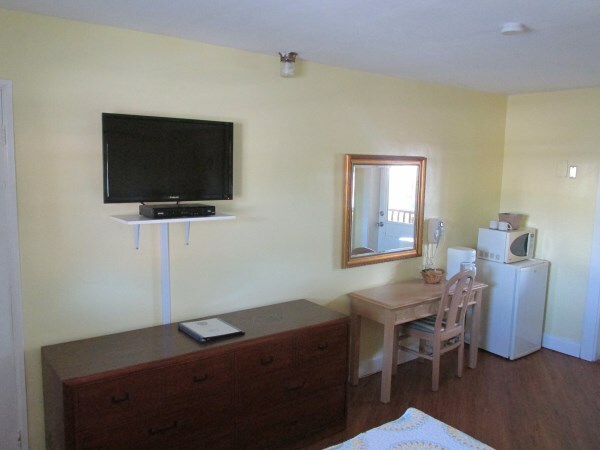 This Large waterfront room has a large window looking out over the Marina and River, Pillow Top King Mattress, 39" LCDTV with HD Cable, AC, a sofa (Pulls out to a Full Sized Sleeper), Reading chair, mini-fridge, microwave, coffee maker, hairdryer, and gives you all the room you need to stretch out and relax. 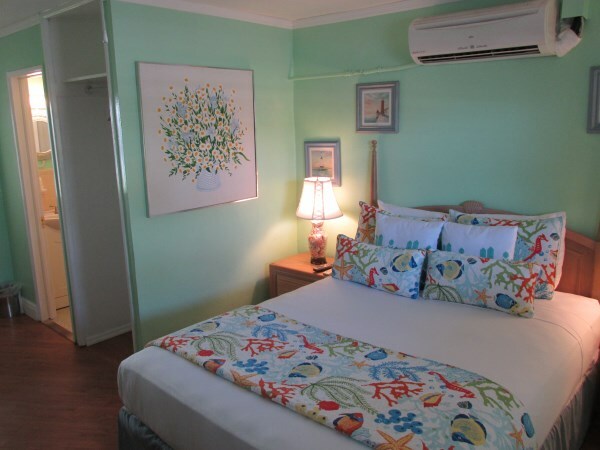 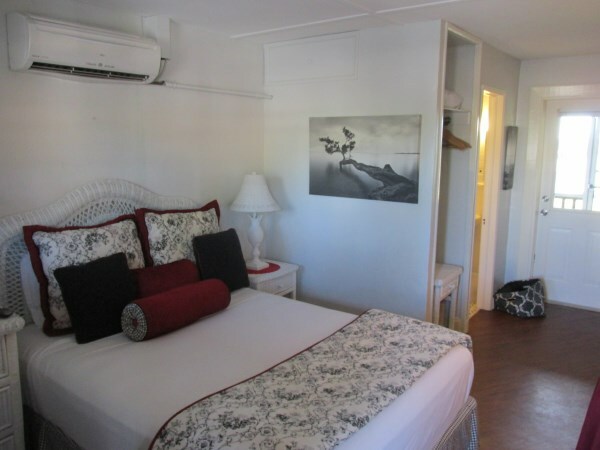 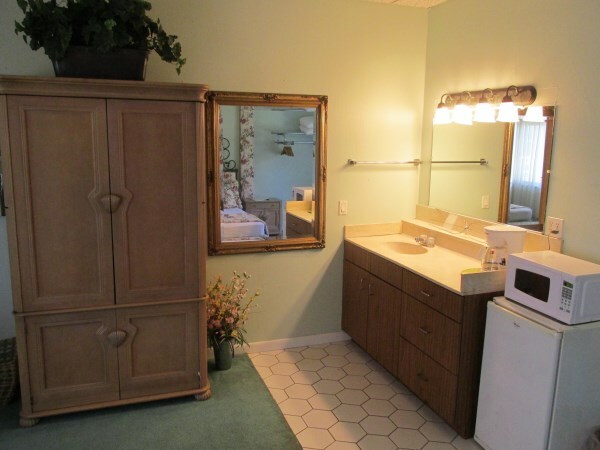 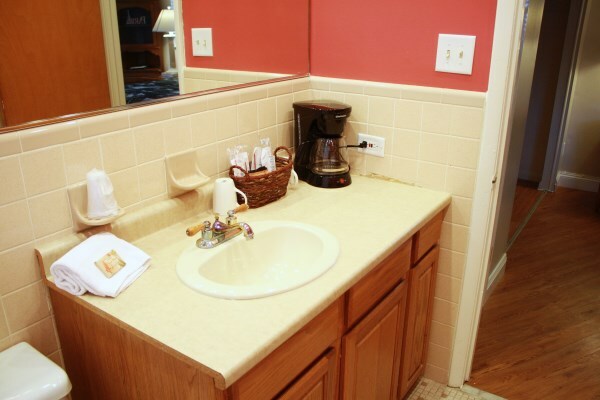 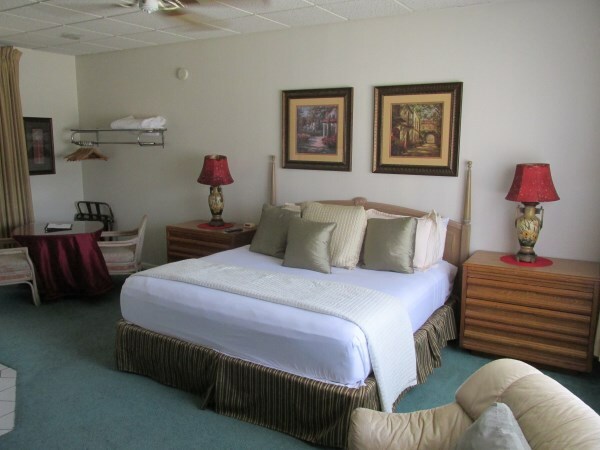 The room has a large closet and a bathroom with a shower/tub combo, making it great for any length of stay. 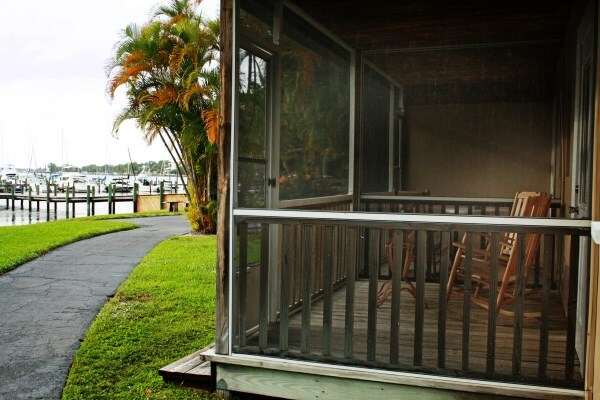 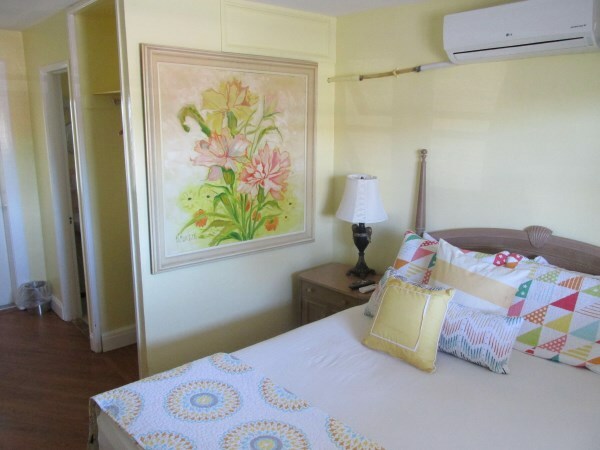 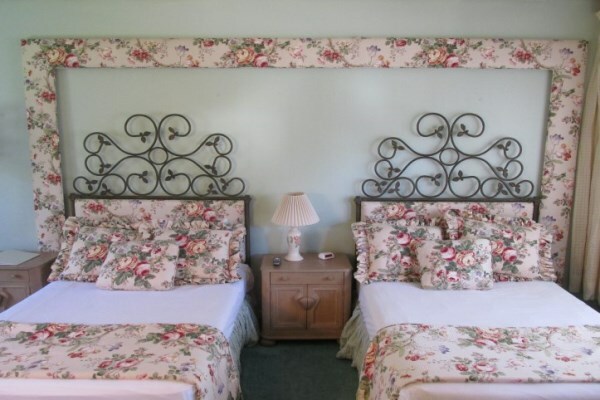 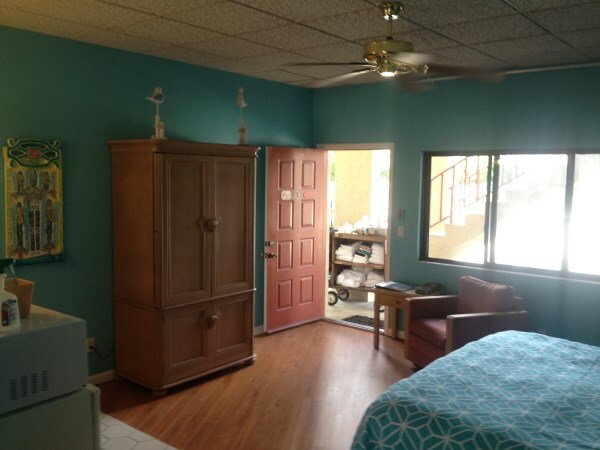 These beautiful rooms have a screened-in porch with two wood rocking chairs and a table that overlooks the North Branch of the St. Lucie River, 11" Pillow Top Queen Mattress, 32" LCDTV with HD Cable, AC, mini-fridge, microwave, and a coffee maker. 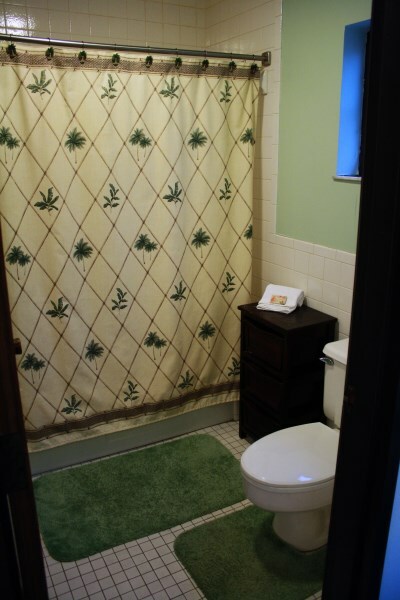 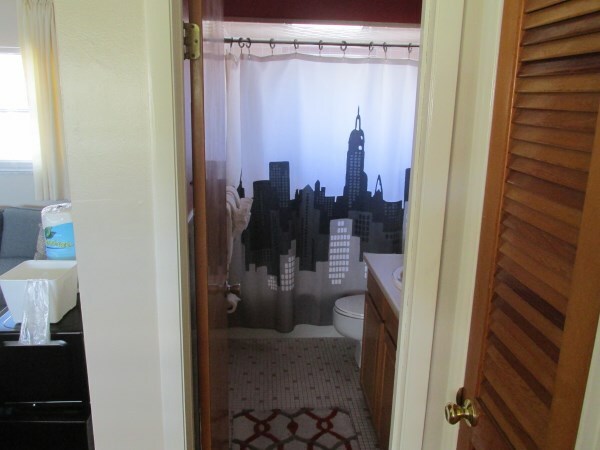 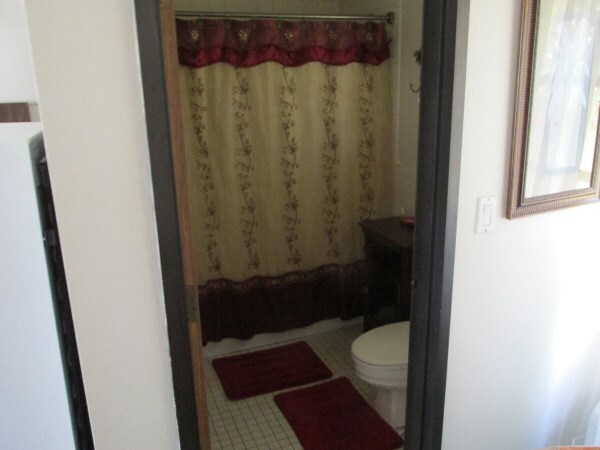 The room has a bathroom with a tiled stand in shower. 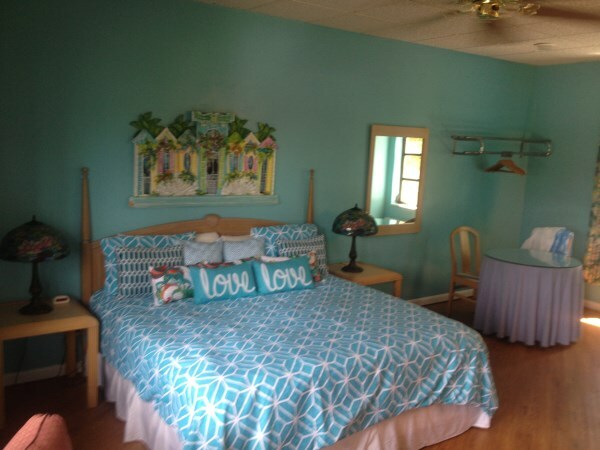 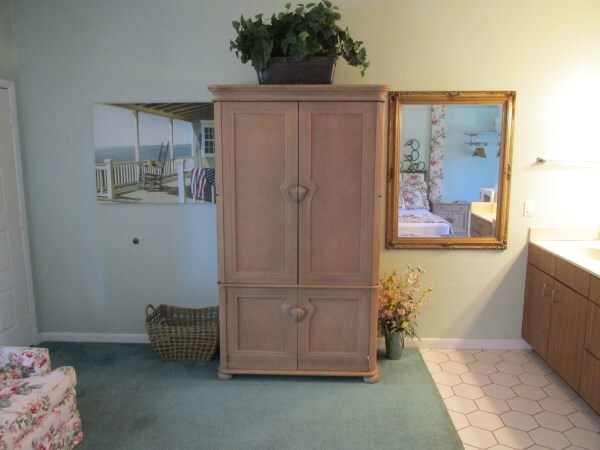 These beautiful rooms have a screened-in porch with two wood rocking chairs and a table that overlooks the North Branch of the St. Lucie River, Two Twin beds, 32" LCDTV with HD Cable, coffee maker, vanity, a dresser and a bathroom with a stand-in shower. 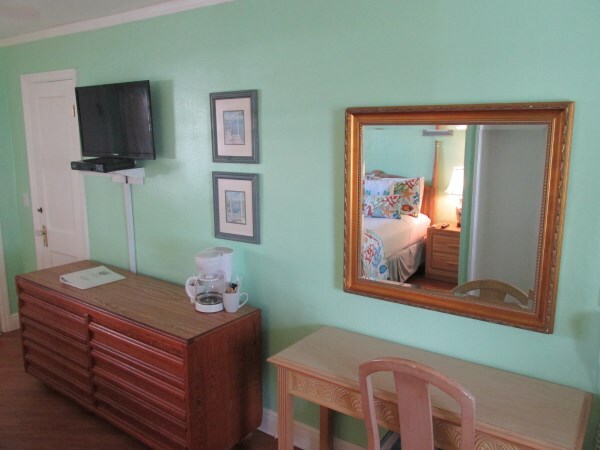 These Large non-waterfront rooms have a 11" Pillow Top King Mattress, 39" LCDTV with HD Cable, AC, Kitchenette equipped with a sink, mini-fridge, microwave, coffee maker, glasses, plates and flatware, reading chair, a table with two chairs, a large bathroom with a shower/tub combo, giving you all the room you need to stretch out and relax, making it great for any length of stay. 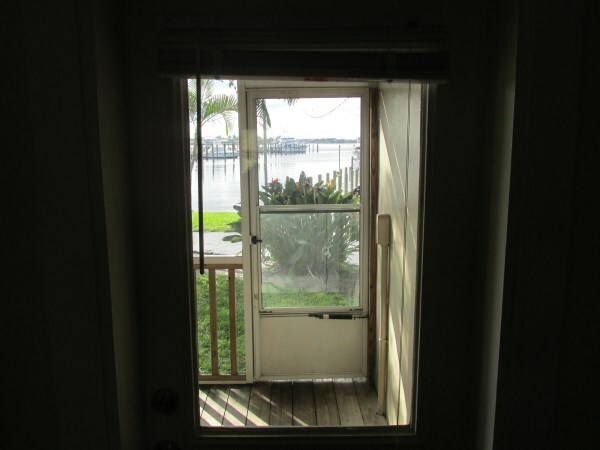 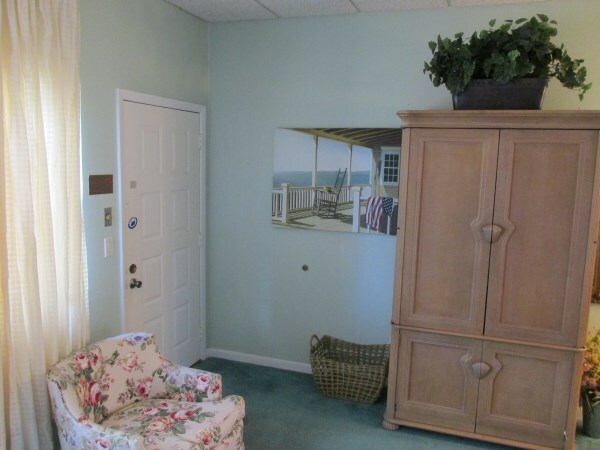 Also just outside your door is a small table with two chairs to enjoy the beautiful Florida Evenings and watch the best sunsets on the Treasure Coast. 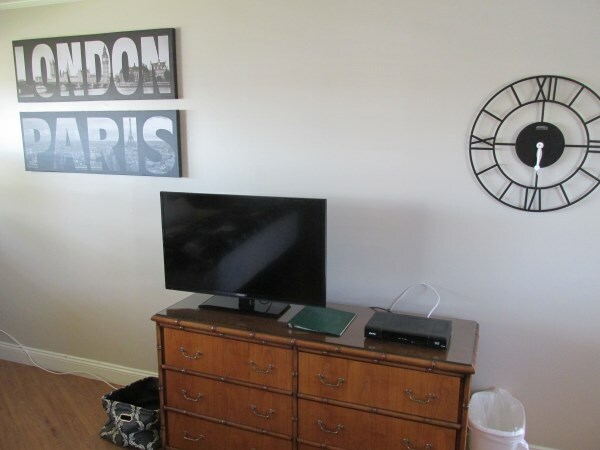 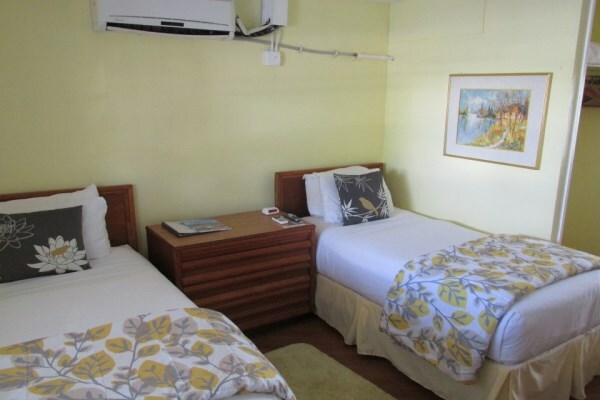 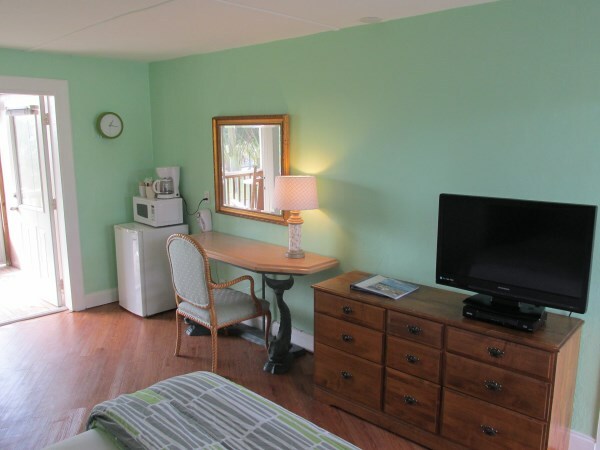 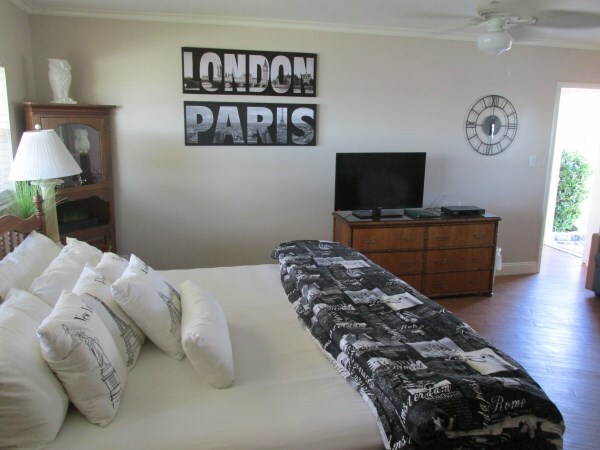 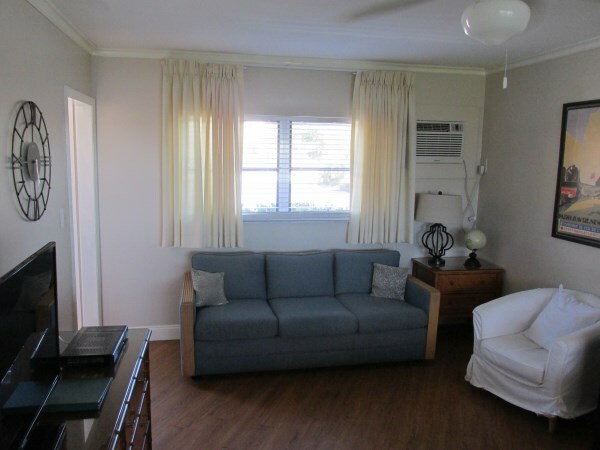 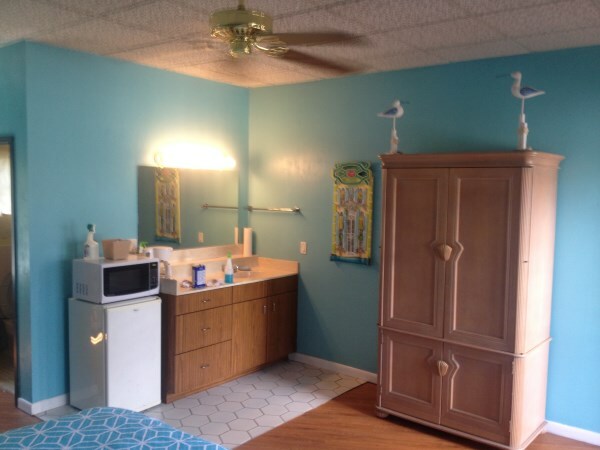 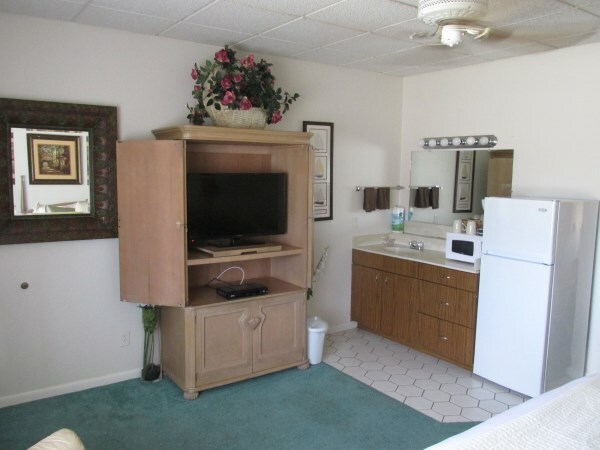 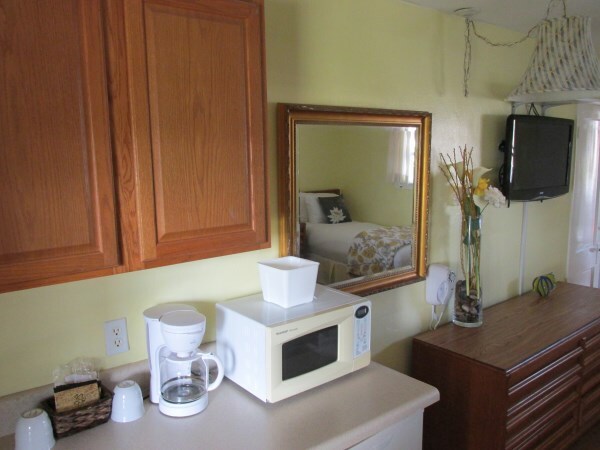 This Large non-waterfront room has Two Full Sized Beds, 32" TV/VCr/DVD Combo with HD Cable, AC, Kitchenette equipped with a sink, mini-fridge, microwave, coffee maker, glasses, plates and flatware, reading chair, a table with two chairs, a large bathroom with a shower/tub combo, giving you all the room you need to stretch out and relax, making it great for any length of stay. 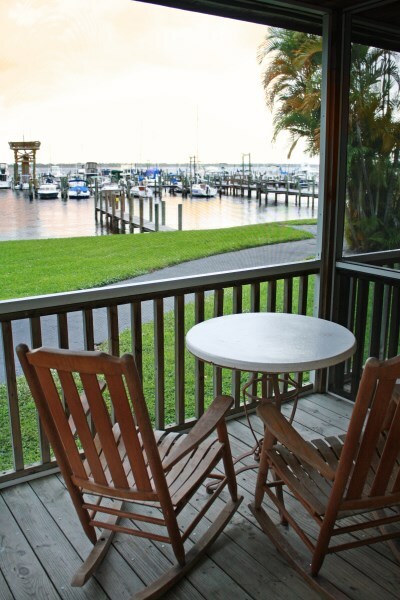 Also just outside your door is a small table with two chairs to enjoy the beautiful Florida Evenings and watch the best sunsets on the Treasure Coast.